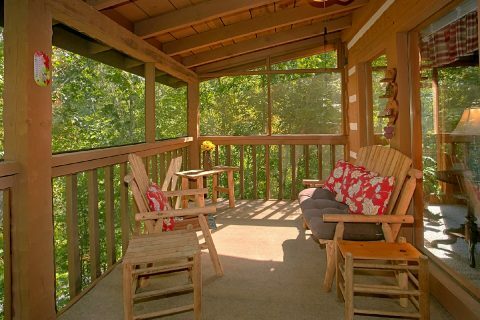 Come experience "A Hummingbird Hideaway" in Wears Valley, TN! 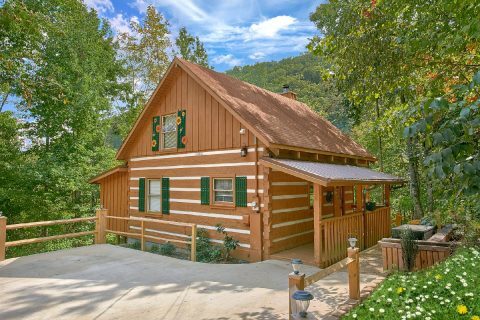 This comfortable, 2-bedroom cabin sleeps up to 6 guests in comfort, so it's great for a small family vacation or a fun trip with friends. 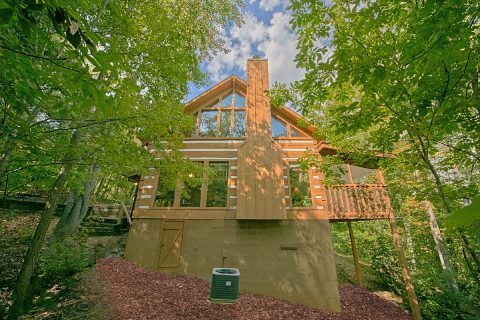 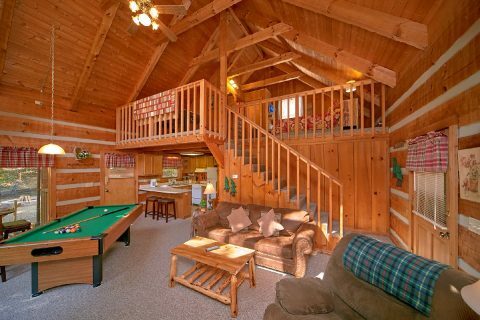 This lovely cabin enjoys a lovely, forested setting that gives you the chance to fully enjoy the peaceful landscapes of the Smoky Mountains. 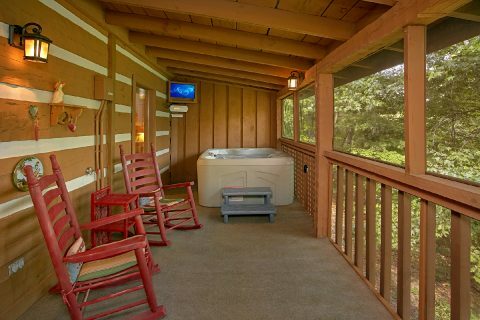 Better yet, your rental rests only a short drive away from exciting attractions on the Pigeon Forge Parkway and an entrance into the Great Smoky Mountains National Park that's close to Cades Cove and the Sinks Waterfall. 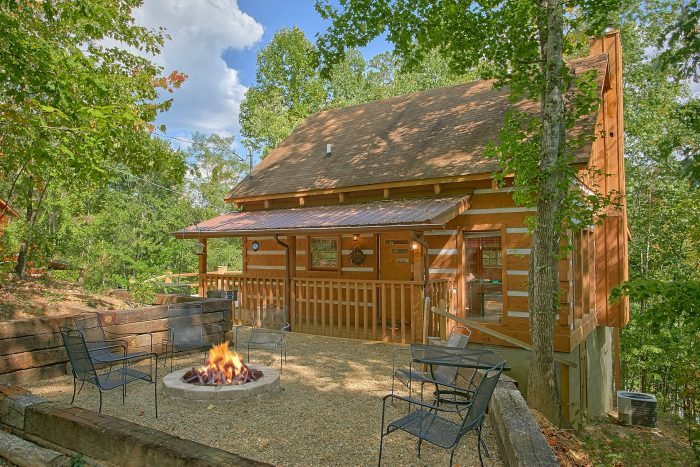 Best of all, this cabin just off of Bluff Mountain road offers a peaceful place to unwind with lots of comfortable amenities. 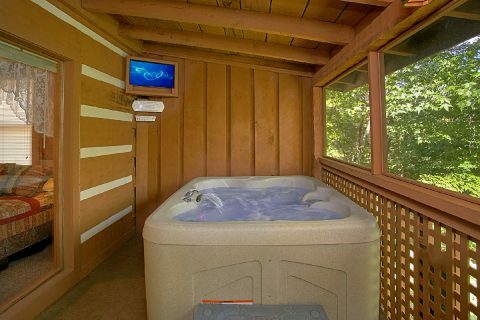 Take a relaxing soak in your cabin's hot tub on the screened-in deck with a television. 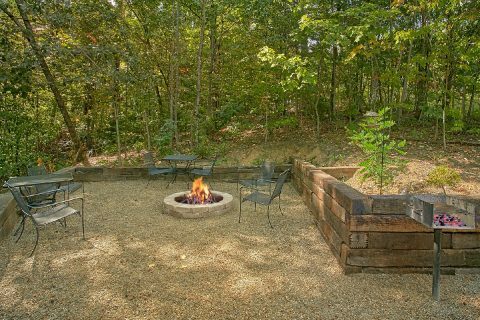 Sit out under the stars while you roast s'mores around the outdoor fire pit. 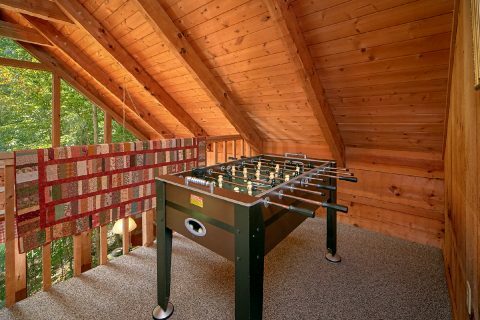 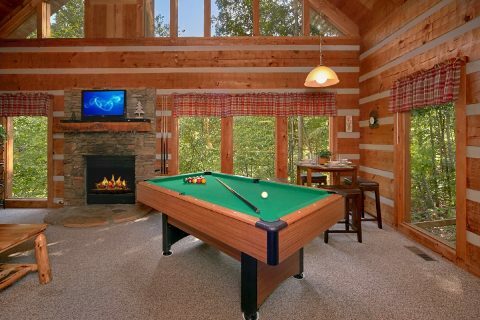 Enjoy a fun game of 8-ball on the pool table or a challenging game of foosball with your friends. 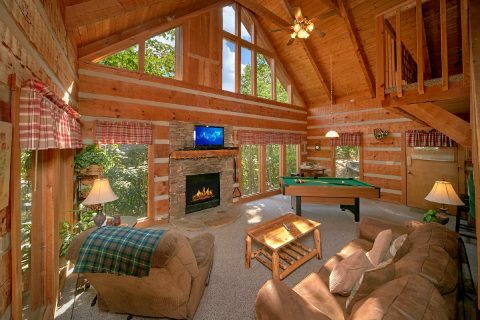 Or simply unwind by the warmth of the seasonal gas fireplace in the living room while you watch your favorite movie. 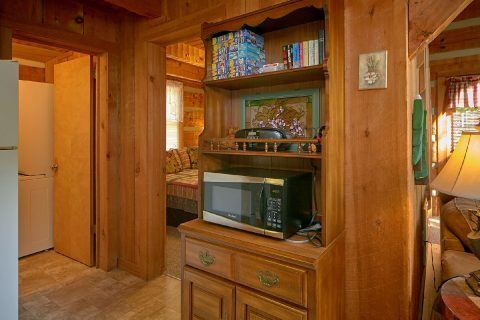 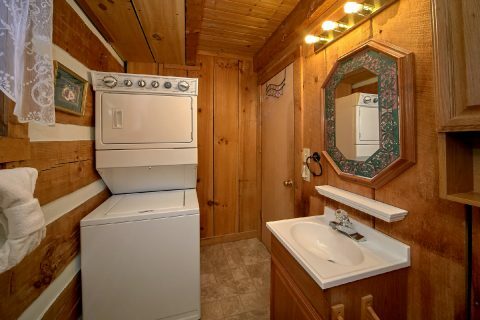 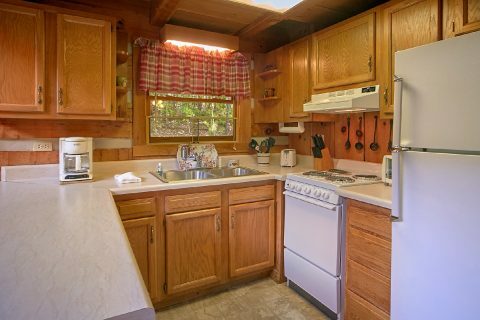 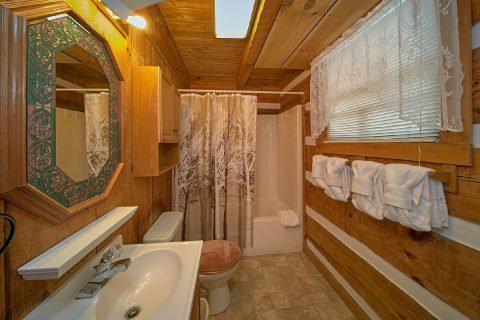 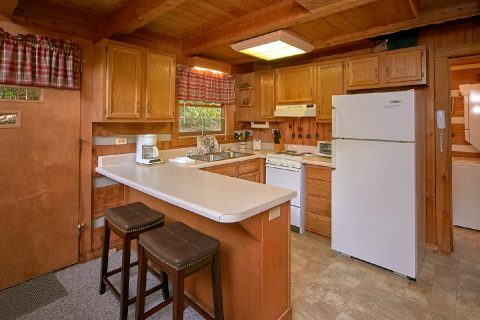 In addition to all these relaxing amenities, this log cabin also offers a full kitchen, a charcoal grill, WiFi Internet, a washer-dryer, and a level, paved driveway with parking for two vehicles. 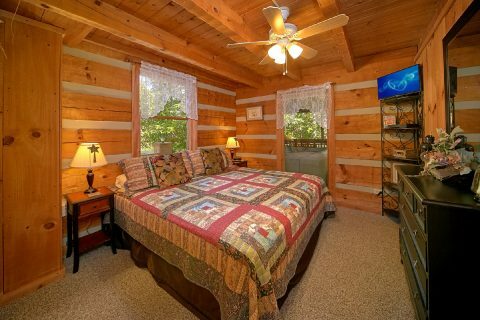 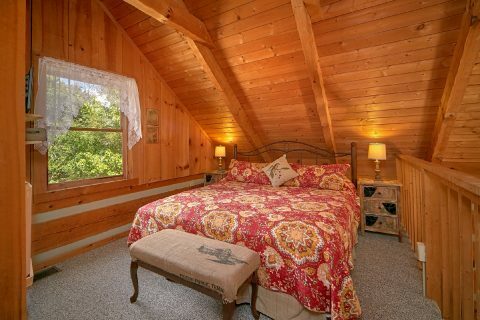 Once you're ready to get some rest on your vacation, you can look forward to staying in one of this cabin's two bedrooms with king-sized beds or the comfortable sleeper sofa in the living room. 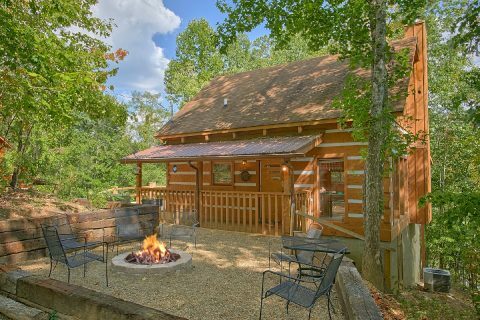 Book a cabin with a beautiful, mountain location that's only minutes away from the region's best attractions! 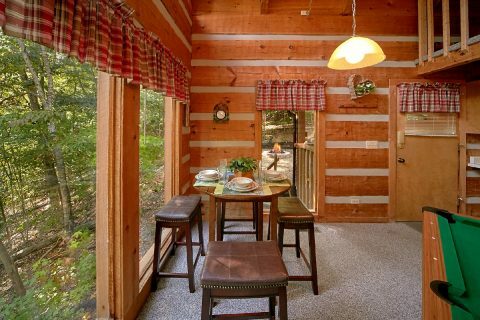 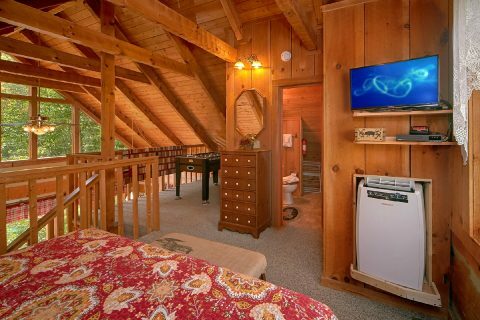 Simply check "A Hummingbird Hideaway's" availability online or contact our reservations office to see how much you can save on your cabin in the Smokies!